I am never disappointed on my visits to Hamilton, I always get to see some interesting bikes. 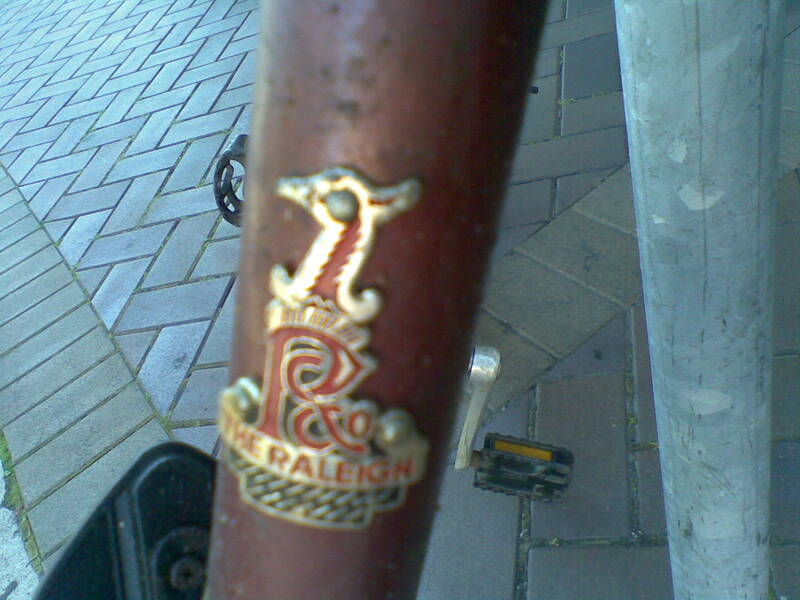 Today it was a Raleigh. 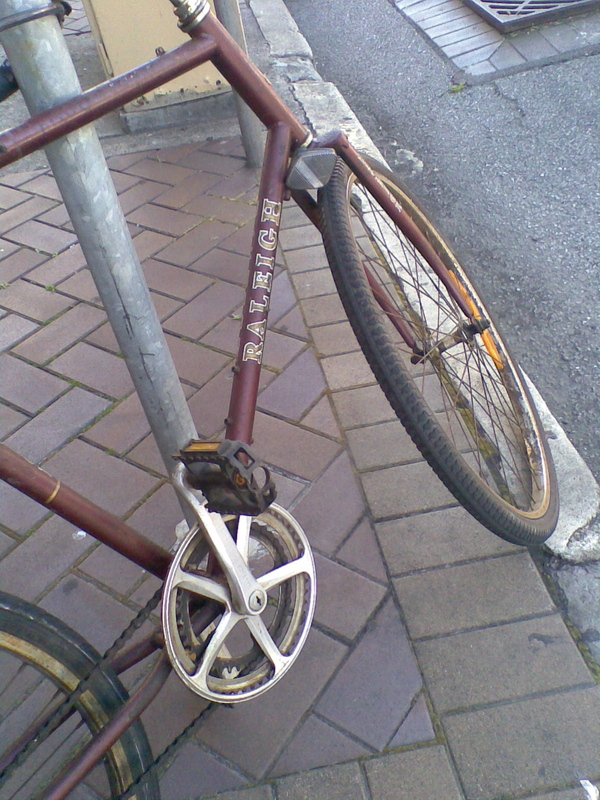 The handlebars are turned around the wrong way, I didn’t want to touch the bike to photograph it better, but you can see the curve of the bars and the triangular pieces holding it to the headpost – vey unusual. Lots of rust of course and it looks like the original bell. 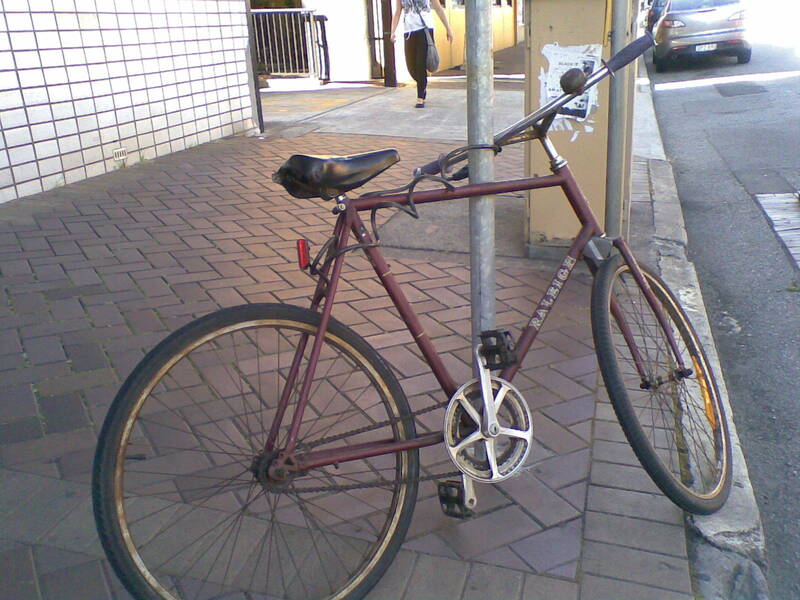 This entry was posted in Vintage bikes and tagged hamilton, old bike, vintage. Bookmark the permalink. 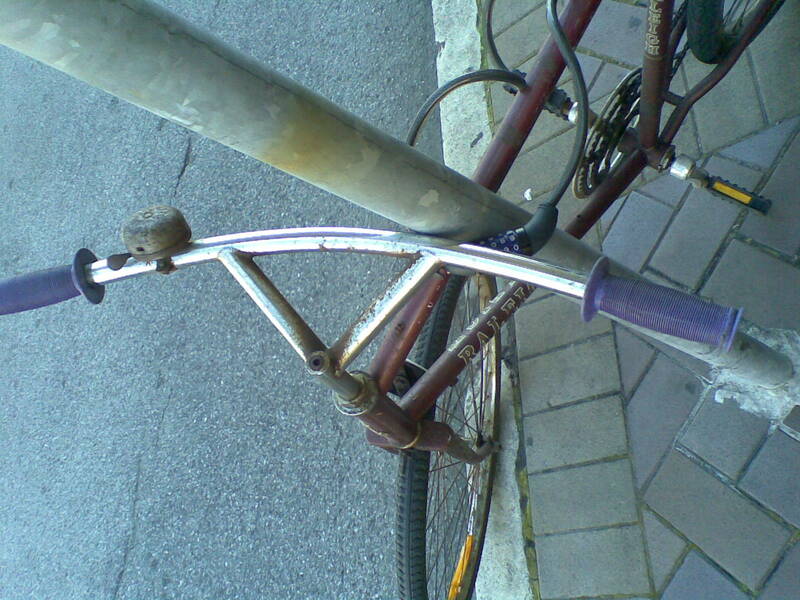 I wonder how original it is, the bars look as though they are off something else – it is a mystery !